Team members will take part in hands-on investigations of the ecology and conservation of southern Chile’s species and communities. Our first objective is to become fluent in the natural history of this region, its climate and geography, and to become intimately familiar with many of the species that live therein. We will travel across a transect of ecological systems ranging from coastal Valdivian rainforests, home of the ancient alerce trees, to the alpine forests, tundra and snowfields of the Andes, to the grasslands that lie in the rain shadow of the cordillera. As we become familiar with the inhabitants of these ecosystems, we will conduct ecological research projects that examine interactions, patterns of diversity, and ecological niches of the species we encounter. We will also investigate the effectiveness of key conservation measures, such as the establishment of national parks and private reserves, which seek to create sustainable livelihoods for local communities while protecting biodiversity through participation in ongoing conservation, restoration, and sustainable agriculture projects. Highlights will include extended field investigations in Parque Pumalín, one of the largest private nature reserves in the world, and Parque Nacional Chiloé, on the fabled Isla Grande. These are two remarkable natural laboratories with intact forest and wildlife communities. However, despite their protected status and almost impenetrable landscapes, daunting conservation challenges loom, ranging from unsustainable and unregulated resource use by local communities to ambitious multinational development plans including new roads, dams and salmon farming. Daniel is an anthropologist and naturalist with over fifteen years of experience working on conservation and environmental education projects in diverse international and U.S. locations. His research interests lie in ornithology and sustainable resource management of protected areas and wilderness. Daniel has conducted research on the Polylepis forests of the Andes mountains and worked on conservation and education projects in Bolivia. 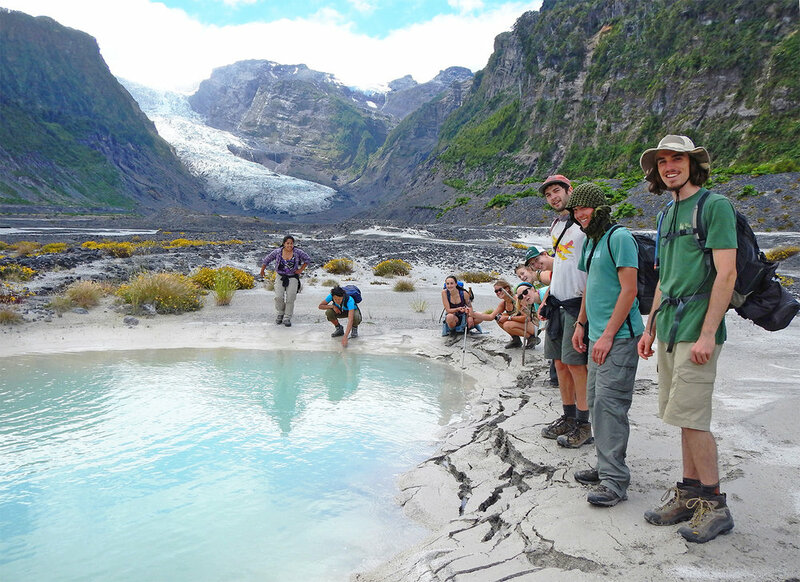 Daniel has been teaching with Wildlands Studies since 2009 and has taught in Chile, Bolivia, Argentina, New Zealand and Alaska. He currently leads our Chile Program. Joe is a behavioral ecologist with research interests in sociality, cooperation, conflict, and animal societies. He has directed the bulk of his training and scientific curiosity on insects, especially ants, but has promiscuous taxonomic interests, having conducted field research on creatures as diverse as birds, mammals, fish, and snails. His graduate work examined the intercolonial intraspecific interactions of socially parasitic ants (Polyergus mexicanus) that rely on kidnapped worker ants from their host species to keep their colonies running. He is awed by both the biodiversity and behavioral diversity of insects and their societies, and does everything he can to transmit entomology fever to any student that he meets. Joe has participated in many field-based research courses that have taken him to California, Arizona, Panama, Costa Rica, and Tanzania. Joe first taught for Wildlands Studies in the 2014 Argentina course. He will teach in the 2019 Spring Australia course and lead the 2020 Chile course. ©2019 Wildlands Studies. All Rights Reserved.